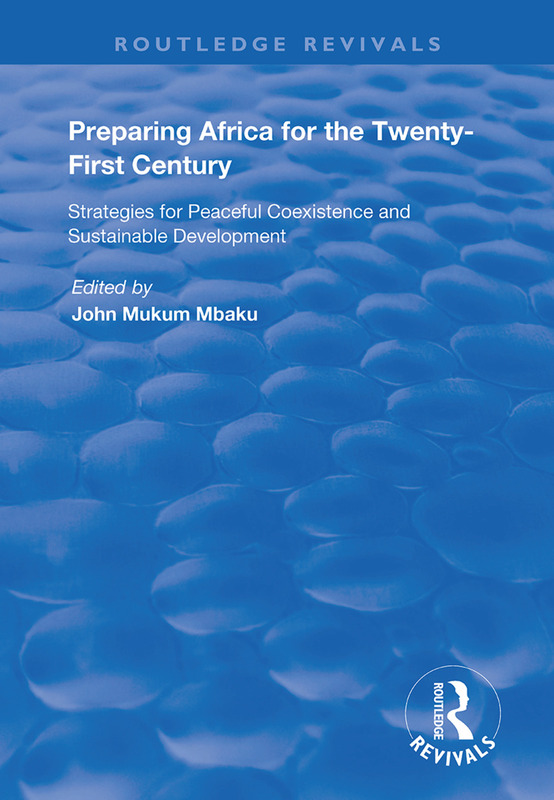 First published in 1999, this volume is written by seasoned African scholars and is intended to make a significant contribution to the debate on peaceful coexistence and sustainable development in the continent. The book contains a very refreshing, rigorous, informative and multidisciplinary analysis of the transition in Africa and provides practical and effective policy options for Africans. It breaks new ground in that it emphasizes the importance of institutions to economic growth and development in Africa. As such, it differs significantly from previous efforts which have tended to blame Africa’s underdevelopment on incompetent, ill-informed and poorly educated leadership. While agreeing that the shortage of competent and skilled technocrats has been a significant problem for many African countries during the last four decades, the contributors argue that the most critical determinant of poverty and deprivation in the continent has been the absence of institutional arrangements that enhance the creation of wealth and allow ethnic and other social cleavages to live together peacefully. Thus, as Africans prepare their societies for the new century, the first line of business should be state reconstruction - a task that was supposed to have been undertaken shortly after independence but was never accomplished. The main purpose of such an exercise is for each African country to design and adopt institutional arrangements that enhance peaceful coexistence of groups, the creation of wealth, and sustainable development.